Nancy B. Nelson, 65, of Hendersonville passed away on Wednesday, January 25, 2017 at Mission Hospital. She was a daughter of the late Frances P. and Grover C. Beddingfield. She was also preceded in death by her husband of 40 years, Terry M. Nelson and a brother, Marlon C. Beddingfield. A native and lifelong resident of Henderson County, Nancy retired from G.E. following 33 years of employment. She was a member of Cedar Springs Baptist Church and was a licensed beautician since the age of 17. Nancy loved to read, watch movies and travel with her husband. Her biggest passion was her family. Survivors include her two sons, Brent C. Nelson and Terry J. Nelson and his wife Amber, both of Hendersonville; four grandchildren, Hunter Nelson, Kayla Moran, Skylar and Keiley Laughter; three sisters, O’Keitha Gabriel, Yvonne Lindsey and her husband Eddie and Mary Jayne and her husband Charles all of Tuxedo. A funeral service will be held 2pm on Wednesday, February 1, 2017 in the chapel of Forest Lawn Funeral Home. The family will receive friends for an hour prior to the service. Timothy Christopher Patterson, 62, of Flat Rock passed away on Sunday, January 22, 2017 at his home surrounded by his loving family who had cared for him in his final days. He was the son of the late T.C. and Evelyn Patterson. He was also preceded in death by his wife Teresa Dotson Patterson and a sister, Shirley P. Sherman. A native of Henderson County, he served as a Sergeant in US Army Special Forces, Green Beret. Tim retired from the Henderson County Public School system after 30 years of service as a mechanic in the bus garage. His love for the Lord was great and he served many years as the music director and a Sunday school teacher at Berea Baptist Church. He loved his family especially his grandchildren. He enjoyed muscle cars, camping, boating, yard-sales and was known as a “passionate second hand shopper”. Survivors include his mother that raised him, Helen Patterson Camp; his wife of 16 years, Linda Gilliam Patterson; children, Tracy Patterson Walden and husband Von, Josh Patterson and wife Amanda and Kerri Patterson Smith and husband Dennis; step-children, Ryan Stepp and wife Stacie, Justin Stepp and Heather Stepp Allen; 18 grandchildren; mother-in-law’s, Myrtle Gordon and Verna Ward; special friend, Bill Devine; several nieces and nephews and many wonderful pets. Funeral services will be held 1pm on Wednesday, January 25, 2017 in the chapel of Forest Lawn Funeral Home. Burial will follow at Berea Baptist Church Cemetery. The family will receive friends on Tuesday from 6-8pm at the funeral home. Memorials may be made to Safelight, Inc. 133 Fifth Avenue West, Hendersonville, NC 28792; Four Seasons Compassion for Life Foundation, 221 N Main Street, Hendersonville, NC 28792 or National Foster Parent Association, 1102 Prairie Ridge Trail, Pflugerville, TX 78660. Linda Huskins Thomas, 71, of Hendersonville went to be with her Lord and Savior Saturday, January 21, 2017 at the Elizabeth House after a brief Illness. A native of Davidson County, Linda had lived in Henderson County for forty-five years. A daughter of the late Fred and Stella Huskins, she was also preceded in death by her son, Randall Shane Thomas, and five sisters, Betty Sue, Louise, Carol, Joyce Ann and Becky. Linda was a registered nurse with Pardee Home Health. She was a member of Bat Cave Baptist Church and the Ladies’ Sunday School Class. Linda supported community youth programs, including Cub Scouts, Boy Scouts, Girl Scouts, Edneyville and North Henderson High School Athletics and Band Boosters. She supported youth groups at Pleasant Hill United Methodist and Hughes Grove Baptist Churches in Thomasville and Mountain View Baptist, Ebenezer Baptist, and Bat Cave Baptist Churches in Hendersonville. She also supported the Law Enforcement Community. Survivors include her loving husband of fifty-four years, Ivey Thomas; a son, Jack Thomas of Annapolis, MD; a daughter, Amy Wilkie and her husband, Jerome, of Hoopers Creek; seven grandchildren, Joshua Thomas and his wife, Jordan, John Thomas, Ivey Wilkie, Lauren Thomas, Emma, Isaac and Avlyn Stella May Wilkie; a great-granddaughter, Jensyn Thomas; two brothers, Jack Huskins and his wife, Lucy, of Thomasville and James Richard Huskins and his wife, Linda, of Pikeville; and a number of nieces and nephews. A funeral will be at 2:00 pm Wednesday at Bat Cave Baptist Church. Revs. Jim Hyler, Ivey Thomas, James Huskins and Jack Thomas will officiate. Burial will follow in the church cemetery. The family will receive friends from 1 to 2 pm prior to the service in the church. Memorials may be made to Four Seasons Compassion for Life, 571 S. Allen Road, Flat Rock, NC 28731 or to the donor’s favorite charity. Please visit www.shulerfuneralhome.com for online condolences. 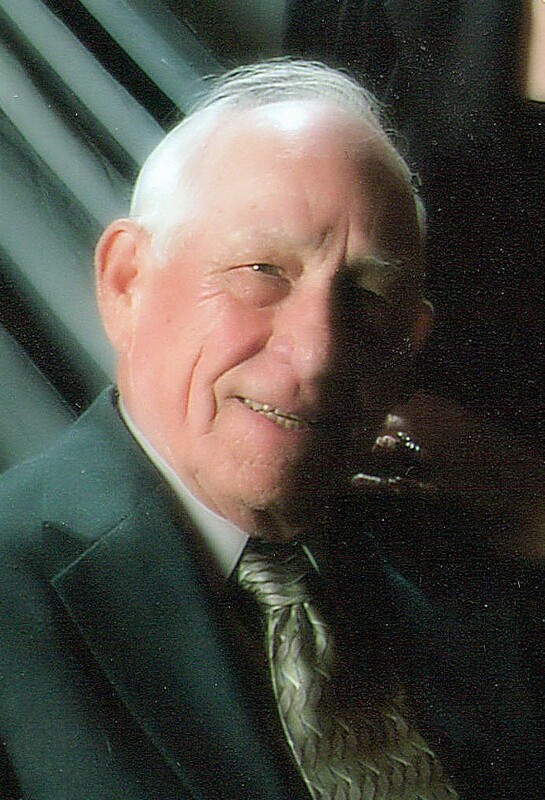 Eugene “Gene” Constant Southworth, 84, of Hendersonville went to be with the Lord on Tuesday, January 17, 2017 at Pardee Hospital after a long illness. He was born March 1, 1932 in Agawam, MA to the late Eugene E. and Hazel Smith Chapin Southworth. He is also preceded in death by two brothers, Robert Ellis Southworth in 2013 and Richard Chapin Southworth in 2015. Gene was a graduate of Agawam High School and Western New England University. He also attended American International College in Springfield, MA and Northeastern College in Boston, MA. During his working years, he was an engineer for an insurance company, first in Springfield, MA, then transferred to VT and retired in 1991 to Ocala, FL. Gene then decided to follow a dream of being a Christian volunteer with his wife, Carol. They belonged to a group called Mobile Missionaries and Sowers, also known as Servants on Wheels Ever Ready. They did whatever was needed for the Lord for eight years, traveling in their RV to every state to Christian camps, schools, churches, and missions. They were at Word of Life Bible Institute when 9/11 occurred. Due to illness, Gene had to retire from traveling but did volunteer two times after Katrina with the church they were attending in FL, doing what he loved, reaching out to those in need. He loved carpentry and remodeled three old homes in VT, and he loved to camp, fish, and hike. Gene served his country as Staff Sergeant in the US Army during the Korean War, eighteen months in the Philippines and twelve months in Japan. He and a group of his classmates joined the inactive Naval Reserve and had to be honorably discharged before enlisting in the US Army. Gene was a member of the Blue Lodge of Masons in VT for 45 years. He is survived by his beloved wife of 61 years, Carol Gwendolyn Orr Southworth; two sons, Peter Ellis Southworth and his wife, Theresa, of Ludlow, VT, and Jeffrey Allen Southworth and his wife, Raeanne, of Benson, VT; three grandsons, Bradley Stearns Southworth and his wife, Kim, and their son, Connor; Aaron Peter Southworth and his fiancé, Ashley, and Nicholas Raymond Southworth and his fiancé, Erin; two step-granddaughters, Lisa and Sarah; two step-great-grandchildren, Zoa and Theodore; and several nieces and nephews and their children. No local services are planned. In lieu of flowers, memorials may be made to Carpenter’s Hands Ministry at Mud Creek Baptist Church, 403 Rutledge Drive, Hendersonville, NC 28739. Judy Wyatt Anderson, 69, of Hendersonville, passed away Sunday, January 1, 2017 at Hendersonville Health and Rehab after an extended illness. She was a native of Henderson County and the daughter of Ernest and Geraldine Stepp Wyatt. Judy attended East Henderson High School, Blanton Business College and Blue Ridge Tech. 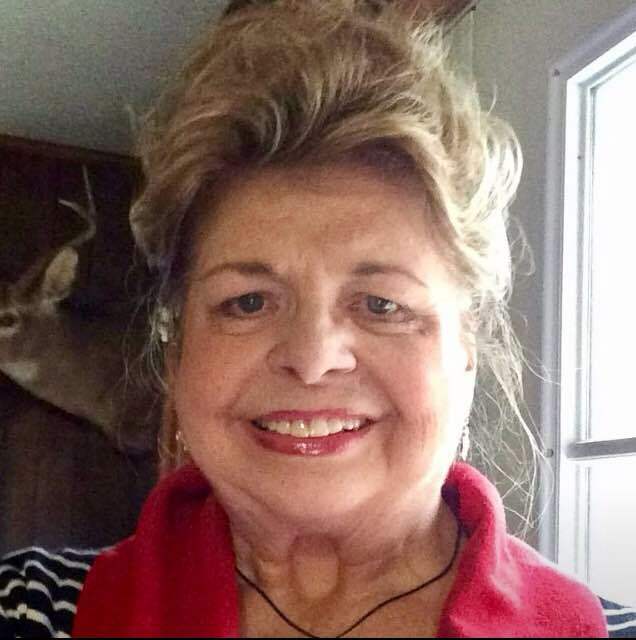 She was employed by Belk Simpson in South Carolina and worked as a CNA in Henderson County. She was previously married to Larry W. Anderson of Marietta, S.C. In addition to her parents she is also survived by her son, Marty; grandsons, Scotty and Trevor; great-granddaughters, Preslee and Paisley; many aunts, uncles and cousins. A funeral will be at 11:00am, Wednesday, January 4, 2017 at Forest Lawn Funeral Home Chapel with Rev. David Stanford officiating. Burial will follow at Forest Lawn Memorial Park. Please visit www.forestlawnhendersonville for online condolences. 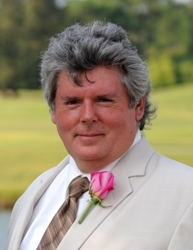 James David “Jim” Parker, 64, loving husband, father and friend to so many passed away on December 26, 2016 at his son’s home in Myrtle Beach, South Carolina. He was surrounded by his loving family. He was the son of the late James Arthur and Mary Lee Rhodes Parker. Born on September 24, 1952 in Henderson County, he spent most of his childhood there with his family in Edneyville, NC. Jim graduated from Cocoa High School in Florida, before moving back to North Carolina with his family in 1970, to attend barber school. After graduating from Durham Barber School and Roffler Academy in NC, he began working in Asheville and Brevard, until establishing “Hair Kutters” in Hendersonville, NC, an Apollo franchise. Jim served the community for more than 40 years with his caring, loving and “special gift” of who he was. He was an avid outdoors man, who enjoyed sharing those experiences with everyone who knew him. The family extends its sincere appreciation and gratitude to the staff at Hendersonville Hematology & Oncology, particularly Dr. Radford. Their dedication enabled us to have the gift of more time with Jim. He is survived by his loving wife, Virginia Taylor “Ginny” Parker, two sons, James Cameron Parker (wife Diane), and Cory Taylor Parker. He is also survived by his Aunt Betty Ann Griffin and several cousins. In remembrance of Jim, live humbly and show compassion to all those who happen to cross your path in life. In lieu of flowers please consider making a donation to the Cancer Research Institute by visiting cancerresearch.org or to the Carolina Mountain Land Conservancy by visiting carolinamountain.org. A celebration of life will be held at 2:00 PM, Monday, January 2, 2016 at the First Baptist Church of Hendersonville, located at 312 5th Ave W, Hendersonville, NC 28739. Charlene A. Livingston, 66, of Hendersonville, North Carolina, passed away on December 29, 2016, at The Elizabeth House, Flat Rock. She was born August 4, 1950 in Franklin County, Ohio, to Fries and Sara (Byers) Ferguson (both deceased). She married Larry Kirian on July 12, 1969 and they later divorced. She then married Stanley R. Livingston on November 28, 1992 and he survives. They had been married for 24 years. In addition to her husband Charlene is survived by her daughter Brigette (Jim) Carpenter of Findlay, OH and her son Lyle (Clarice) Kirian of Travelers Rest, SC. Also surviving are her extended family Michele (Jeff) Fish of Canton, NC, Stacey Livingston and Henry Livingston, both of Hendersonville, NC; grandchildren, Ashleigh & Alyson Carpenter of Findlay, OH, Tyler Workman of Travelers Rest, SC, Ryan Workman of Charleston, SC, Cassandra (Ben) Tanner of Flowery Branch, GA, Samantha (Daniel) Rose of Flat Rock, NC, Kevin & Starr Fish of Canton, NC, and Beth Ellen & Autumn Livingston of Flat Rock, NC; and great-grandchildren, Abishai & Areli Tanner of Flowery Branch, GA. Additional sisters, nieces, and nephews and their families survive Charlene. Charlene was a 1968 graduate of Elmwood High School in Cygnet, OH and attended Mercy Nursing School in Toledo, OH. Charlene held various positions during her professional career, some of which included being a nurse, secretary to the superintendent of Elmwood Schools, sales, owner/operator of Computer Training Associates, and co-owner of Livingston Properties LLC. Jackson Funeral Home in Hendersonville will be handling the arrangements but visitation will take place at Mountain View Baptist Church in Tuxedo on Tuesday, January 3, 2017, from 12:00 noon to 1:00 pm with the funeral services, officiated by Sherill Moore and Ben Tanner, immediately following the visitation. Burial will follow at Forest Lawn Cemetery.